Planning to visit Rwanda or is a Rwanda tours are on your bucket list? Our safari holidays, take you to visit all the 4 National Parks in Rwanda – The Land of a Thousand Hills. Do you want to go to Volcanoes National park to see the mountain gorillas or planning to trek through in Nyungwe National Park for chimpanzees. Are you seeking to understand what the Rwandan Culture is about? Just name it and we will take you. In the mean time before we take you around below we have given you a highlight about Rwanda and also Rwanda’s sample Holidays that you can take on. Rwanda is the land that beckoned to great explorers, scientists and conservationists, who spellbound by the beauty of the land left a lot undiscovered for the benefit of the future generations. Tourism in Rwanda rapidly increased since the genocide that took place in 1994. Rwanda is located in central East Africa and has much history and natural beauty. Each Rwanda tour group is led by an experienced guide that specializes in teaching others about the landscape and wildlife of Rwanda. She is known for her nickname the “Land of a thousand Hills” the mountains include the volcanic Virunga range, great lakes rift valley, grassland predominating Rwanda. However, there are small tracts of rainforests scattered at the edge of the country and tropical savanna with of course the largest water body in Rwanda which is Lake Kivu. There are expeditions to places like volcanoes, waterfalls and rainforests which are home to many different African animals. Rwanda is home to a huge diverse population of animals including Mountain gorillas and the largest natural parks for Hippos 20,000 of them are believed to be there. This goes to show how difficult it is to ascribe any human definition for the splendors of this great land of uniquely beautiful landscape. Rwanda a home to renowned warriors of the past, colorful dancers, beautiful people of infinite hospitality! Though Rwanda is still a developing country it‘s tourism is giving it a comeback. There is something fascinating about Rwanda, which I cannot tell you. Discover it for yourself by taking a Rwanda Safari Holiday. 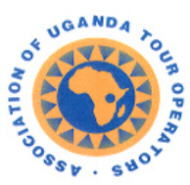 A valid passport is mandatory is very important so as to make your Rwanda Safaris trip. At the time of printing, Visa cost USD 50.00 except for a stay of three months, for nations like:, Burundi, Canada, Germany, Hong Kong, Kenya, DR of Congo, Mauritius, South Africa, Sweden, Tanzania, Uganda, UK, and USA. Application for Rwanda Visa can be got at any Rwandan Embassies abroad and also applied for online on the following link Rwanda Visa. If you plan on visiting other east Africa Countries like, Uganda and Kenya, we recommend that you obtain the Single East African Visa. 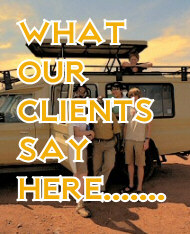 Please be informed that these are just sample safaris that you can take on. However we can tailor your trip to suite your time, interests and program. Rwanda is full of adventure. The peak of Virunga Mountains beckons to mountain climbers. The ascents of the Karisimbi volcano, Bisoke climb. The hilly nature of the country with numerous observation points is ideal for hiking and trekking while protruding rocky outcrops for rock climbing, camping in Akagera and Nyungwe forest. In the same way, unique is the Nyungwe forest National Park a home of 275 species of birds, 260 species of trees, over 100 species of orchids and 125 species of butterflies. More to that, a primate’s nirvana with 13 species of primates including chimpanzees; it hosts the claimed source of the river Nile and hence gives an opportunity to map out the footsteps of the early explorers in search of the elusive source of the river Nile. Akagera National park can still give you a great wildlife experience with Elephants, buffaloes, zebras, lions roam the plains while huge crocodiles and hippos rule the river sides, lakes and ponds. Birding in Akagera is equally great with over 425 species recorded.